Let the Loki ceiling fan be the finishing touch to your large bedrooms, living rooms, nurseries, and home offices. 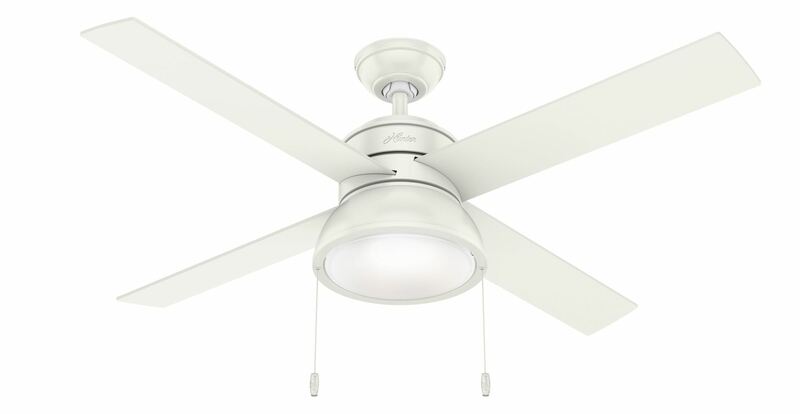 This indoor ceiling fan is available in three finishes, including Hunter's premium Polished Nickel finish. The included pull chains make controlling the integrated LED light and three fan speeds easy. Featuring the WhisperWindr motor, you'll get the cooling power you need with whisper-quiet performance you expect.